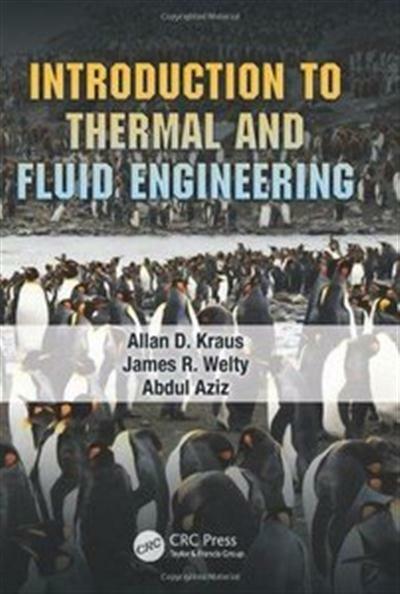 combines coverage of basic thermodynamics, fluid mechanics, and heat transfer for a one- or two-term course for a variety of engineering majors. The book covers fundamental concepts, definitions, and models in the context of engineering examples and case studies. It carefully explains the methods used to evaluate changes in equilibrium, mass, energy, and other measurable properties, most notably temperature. It then also discusses techniques used to assess the effects of those changes on large, multi-component systems in areas ranging from mechanical, civil, and environmental engineering to electrical and computer technologies. Keeping sight of the difference between system synthesis and analysis, this book contains numerous design problems. It would be useful for an intensive course geared toward readers who know basic physics and mathematics through ordinary differential equations but might not concentrate on thermal/fluids science much further. Written by experts in diverse fields ranging from mechanical, chemical, and electrical engineering to applied mathematics, this book is based on the assertion that engineers from all walks absolutely must understand energy processes and be able to quantify them. The post Introduction to Thermal and Fluid Engineering appeared first on Freshwap.